(Austin) — A bill that would strip the Travis County District Attorney's Office of its authority to investigate and indict public corruption cases passed the Senate this week. 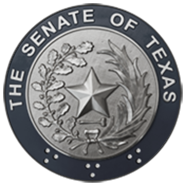 The bill by Southside Place Senator Joan Huffman would give investigation authority to the Texas Rangers at the Department of Public Safety, and the cases would ultimately be prosecuted in the accused's county of residence. Huffman told colleagues that a single county shouldn't be in charge of trying cases involving people from all over the state. "After more than three decades of accepting this cultural norm, the public has lost confidence in this tacit scheme, and Texas needs a fair and explicit process to hold wrongdoers accountable," she said. The Public Integrity Unit at the Travis County DA's Office has been under fire since District Attorney Rosemary Lehmberg pled guilty to drunk driving in 2013. Then Governor Rick Perry demanded that she step down and after she refused, he vetoed state funding for the office from the state budget. The PIU has been operating on limited county funds since, and state funding for the upcoming biennium was absent from the Senate version of the budget. The House will now consider the issue. Also this week, the Senate approved two bills that would reform preparation and continuing education for public school teachers. The measures, SB 892 and 893, would increase the quality of teachers entering the profession and continue to support their development throughout their career, said author Senator Kel Seliger of Amarillo. "We need ever better, more motivated teachers," he said. Under the bills, each class of candidates entering a teacher prep program would have to have a cumulative GPA of 3.0, and classroom training requirements would be doubled to 30 hours for candidates seeking alternative certification. The bills would also make teacher evaluations more frequent, requiring annual assessments, and teachers would have more leeway to pick and choose which areas of professional development to focus on. In committee action this week, the Senate Subcommittee on Border Security took up a controversial measure that would end in-state tuition for undocumented immigrants. The program, originally passed in 2001, lets those brought to the country illegally as children qualify for in-state tuition at public colleges and universities if they've lived in-state for at least three years and graduated from a Texas high school. Bill author Senator Donna Campbell of New Braunfels worries this practice entices undocumented aliens to Texas. "It's bad policy that awards illegal immigration in perpetuity," said Campbell. Opponents of the bill say it's wrong to punish students for the actions of their parents. "I don't think that a college education is about where you're from, it's about where you're headed," said San Antonio Senator José Menéndez. "We should never close the doors of opportunity on anyone." The bill now heads to the full Senate for consideration. Also on the way to the Senate is the state budget bill, passed unanimously by the Senate Finance Committee on Thursday. The $211 billion bill would fund state services over the next two years, and includes more money for border security, women's and mental health services and tax cuts. Committee chair Jane Nelson told members she anticipates bringing the bill up for debate and consideration on Tuesday of next week. The Senate will reconvene Monday, April 13 at 2 p.m.